Before ordering any motor be sure to check the name plate on your present motor for the following. R.P.M. ( Revolutions Per Minute ). Keep this the same as the motor you are replacing. Bear in mind that some manufacturers such as Lennox and York ( and others )use 825 R.P.M. motors. Using a 1,075 R.P.M. will burn out the new motor. READ THE PLATE ON THE EXISTING MOTOR OR ON THE DOCUMENTATION THAT CAME WITH THE EQUIPMENT! Check the diameter and the shaft size of your present motor. Sometimes you will need to cut off some of this shaft if it interferes with the condenser fan guard ( a hack saw can be used for this ). Rotation: All our motors are reversible. 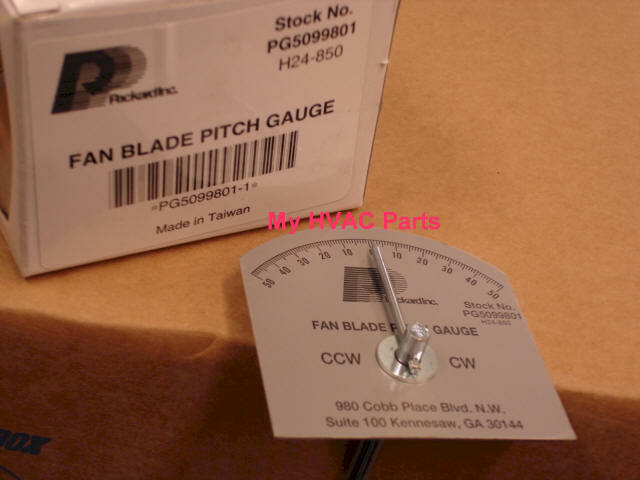 Need a Puller to get the fan blade off? See the bottom of this page. Universal Condenser Fan Motors for Central Split System Air Conditioners and Split System Heat Pump outdoor units. Can also be used in Package heating and cooling units, however not intended for use as indoor blower applications in Package units. ( for indoor blower applications for Package units, order from our Furnace Motor page ). To search for an exact replacement please use the search by manufacturer link on the left navigation bar on any page. We have many listed by the manufacturer with photos and details. 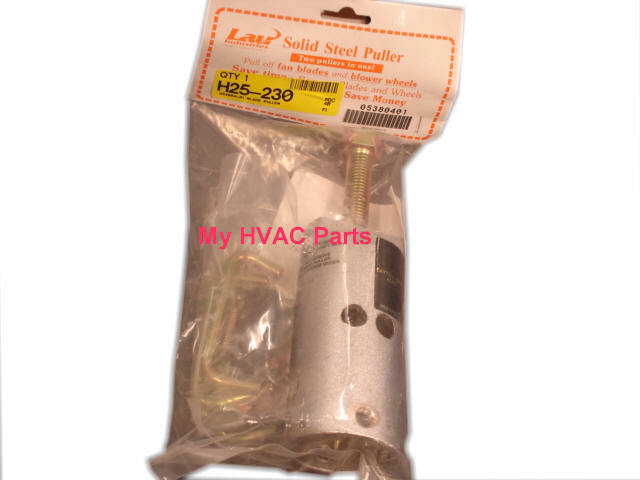 51-23055-11 Rheem-Ruud 1/5th H.P. Cond Mtr 1/5 H.P. (Pt #51-23055-11, replaces Pt #51-21854-02. As used in Heat Pump Models R/UPKA 037 JAZ and others. Original Rheem-Ruud approved replacement for Emerson motor K55HXJKL-2918) Come see the wiring diagram. MOT04104 Trane-Am Std Condenser Fan Motor 1/5 HP (condenser fan motor used in over 1,200 Trane-American Standard Package Gas and Heat Pump units) Has a modular receptacle on side.